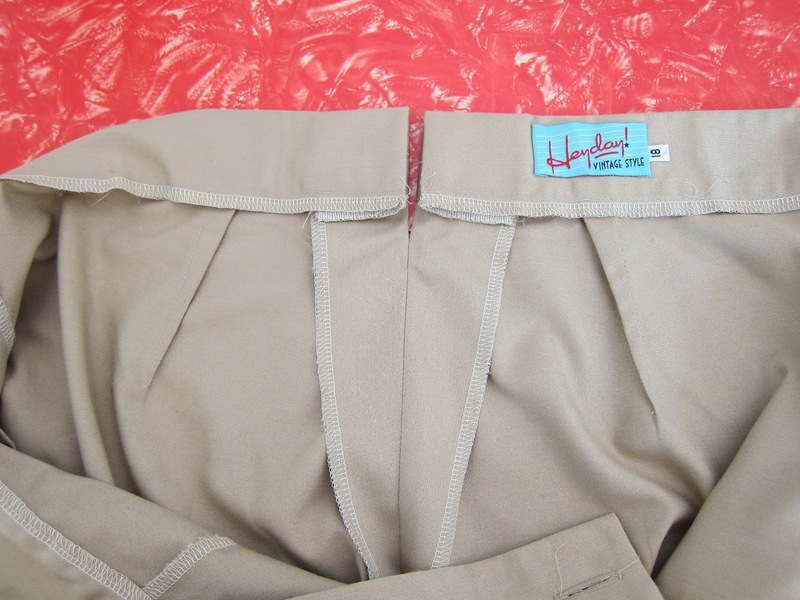 While the majority of men’s pants have an adjustable back seam, not many women’s pants do – HeyDay Vintage Style is the exception! 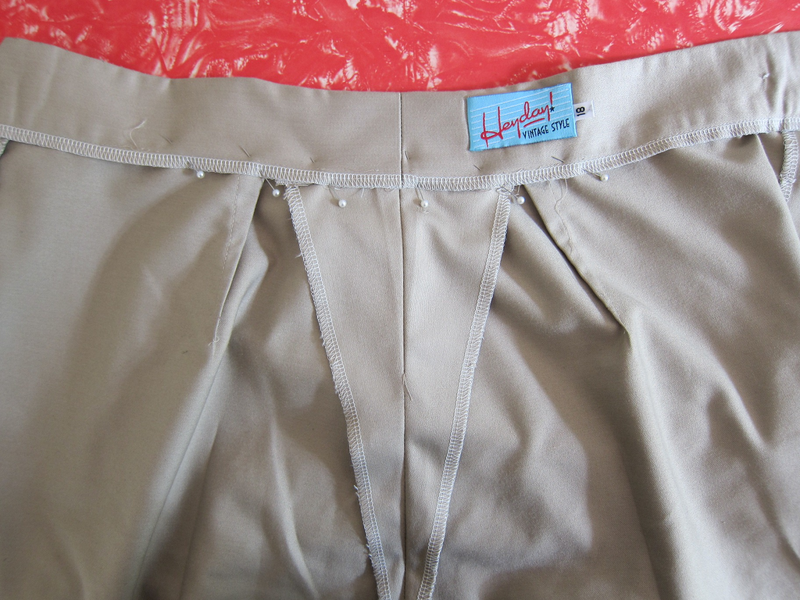 I always buy their Swing Pants in my hip size as the waistband is adjustable. The tailored back seam means if you’re pear shaped it’s easy to get the trousers to fit well, instead of gaping at the back. If you’re less curvy, you can also let out the waist band a couple of inches to get more room. 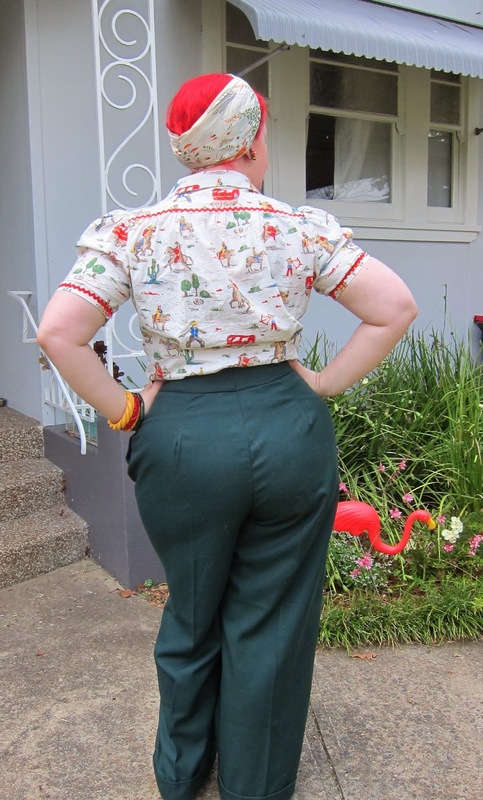 Heyday’s trousers fit my hips really well, but as my waist is much smaller there’s a definite gape. So here’s how you can alter them, and I promise it will take you less than five minutes! 1. Measure how much you need to take them in by, and mark it in chalk on your trousers. (If you need to let them out, skip this step). 2. 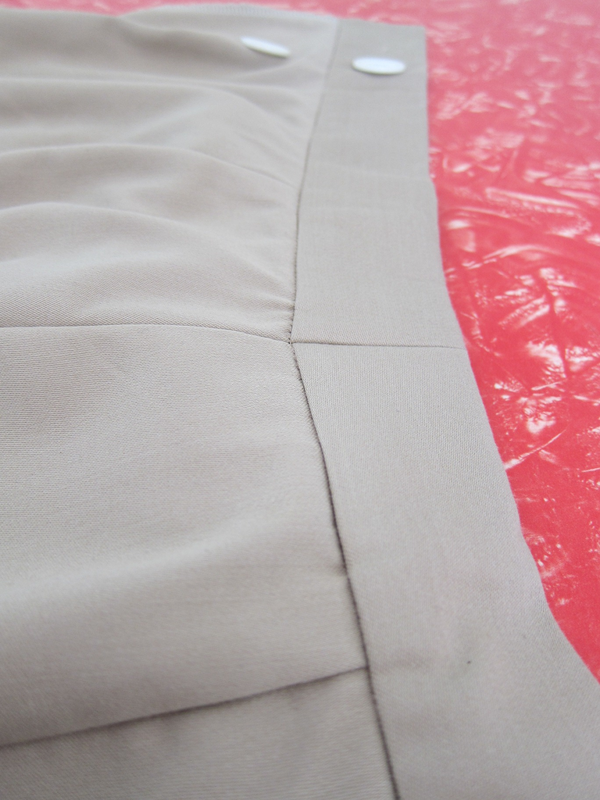 Unpick the centre of the back waist band (switching to the Beige as the sewing is easier to see). 3. 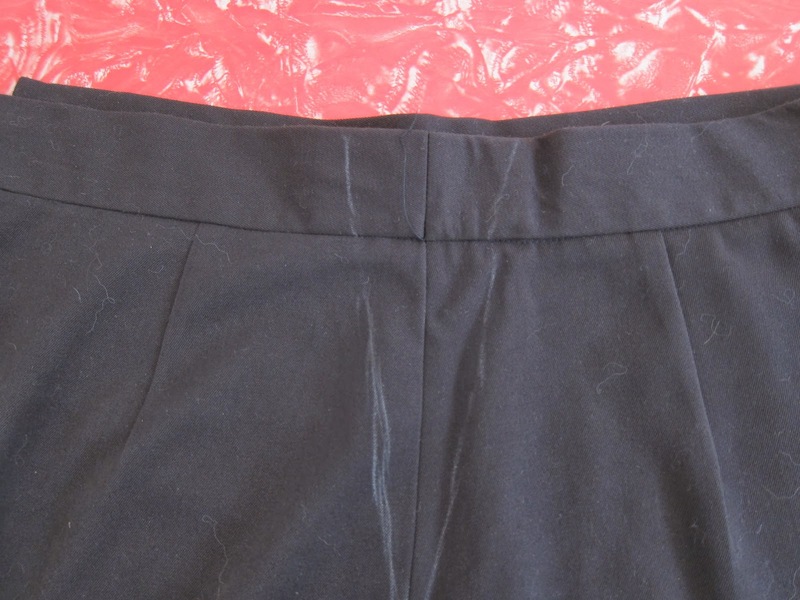 Unpick where the waistband joins the trousers on the inside. I unpicked for about four inches either side of the centre back. 4. 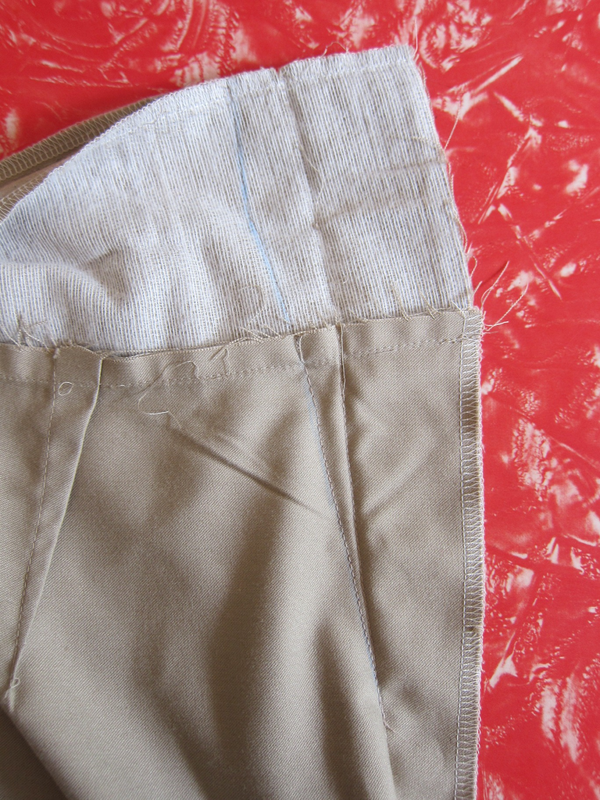 Transfer the markings from the right side of the pants to the inside with chalk. 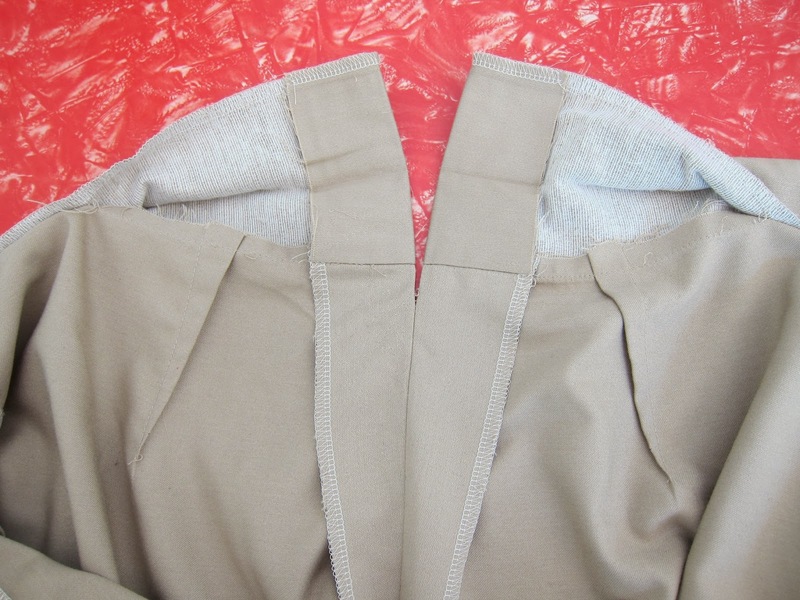 Fold the pants along the centre seam and pin. Note that the transferred line makes a slight < shape? That's to taper the waistband in at the top. 5. Stitch the chalked line, being careful to join the point of your new seam up to the original seam lower down. 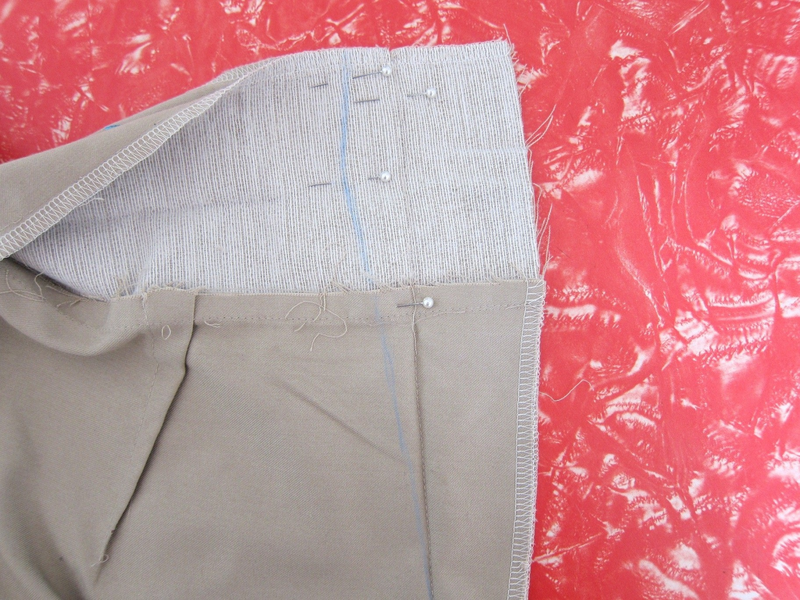 Ensure you continue your new line of stitching over the top of the old stitching for a centimeter or two. 6. Unpick the original seam to where your new stitching line meets it. Press this seam open. 7. Fold waist band back over, pin and press. 8. 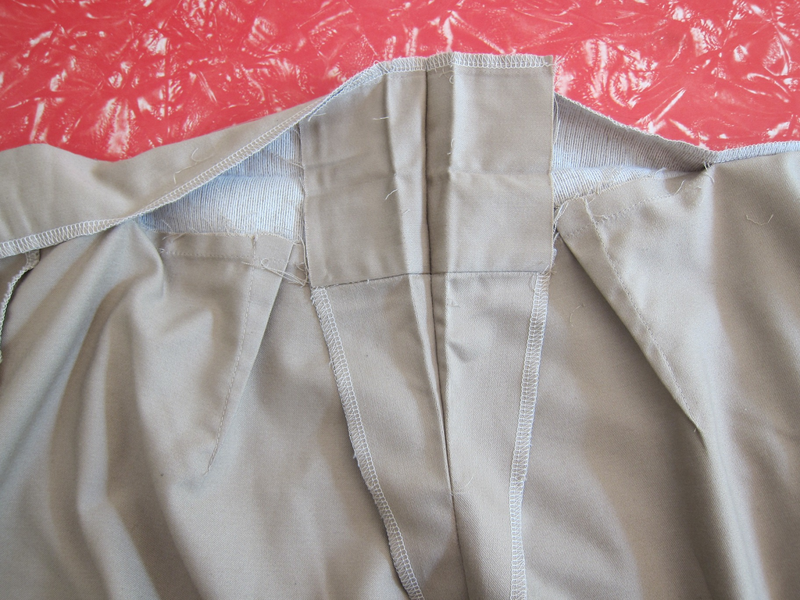 On the right side, stitch the waistband back down by stitching along the seam line (stitch in a ditch). Wear them and enjoy your custom fit pants! Next Post Midcentury Gelatine Mystery Dish - Vegan Style! Super easy fix! Loving your blouse.